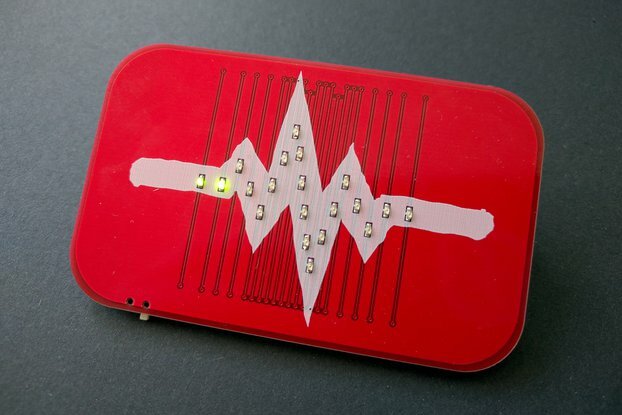 A shield for Adafruit Feather boards that turns them into a tiny handheld game console. If you need a larger amount of any of my products, or you would like to sell them in your store, please contact me. All my designs are publicly available, and I can help you with the production setup. 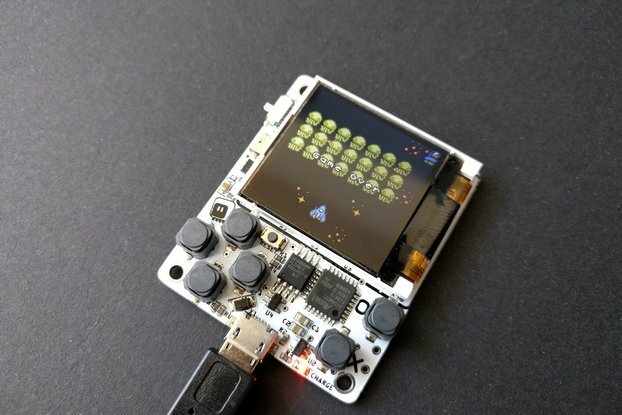 It's an add-on board (a "shield" or a "FeatherWing") for the Adafruit's Feather family of development boards, which turns it into a tiny handheld game console. It has 6 buttons and a 4-color 8×8 pixels display. 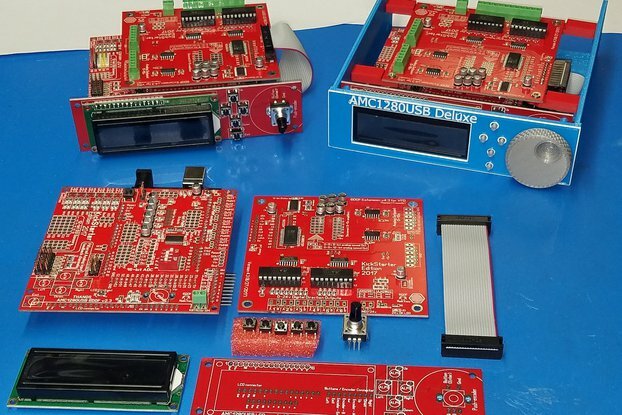 It comes with a library for CircuitPython for writing the games. You will receive the board itself and the pair of male pin headers. 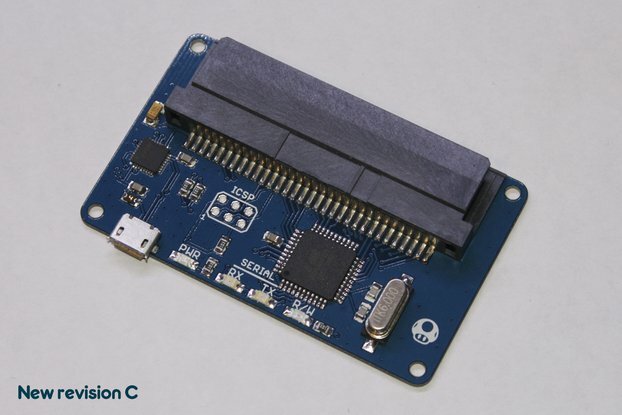 The new version comes with the matrix already soldered, and the headers can be friction-fit, so no soldering is required. You will need to solder the battery leads if you add it. 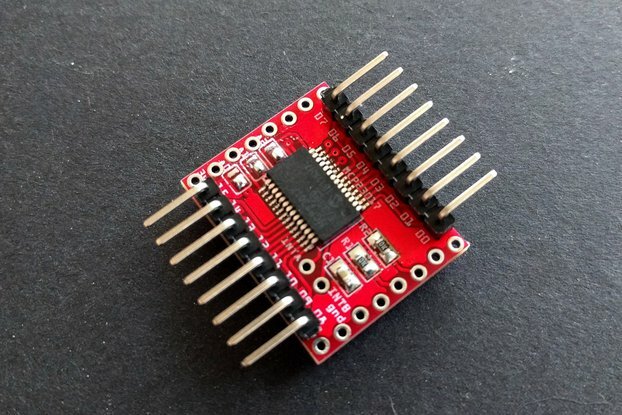 To actually use it, you will also need an Adafruit Feather board capable of running CircuitPython (Feather M0 Express is recommended), with matching headers, and optionally, a LiPO battery. 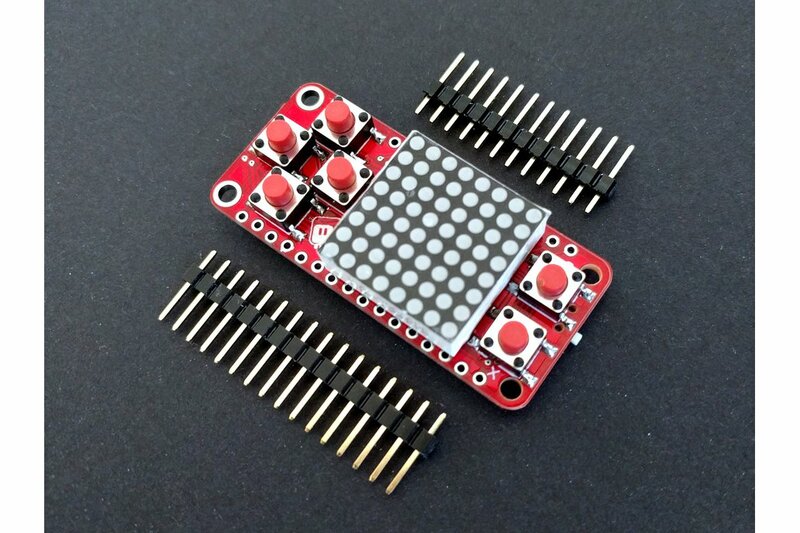 You can get those from adafruit.com or their distributors. 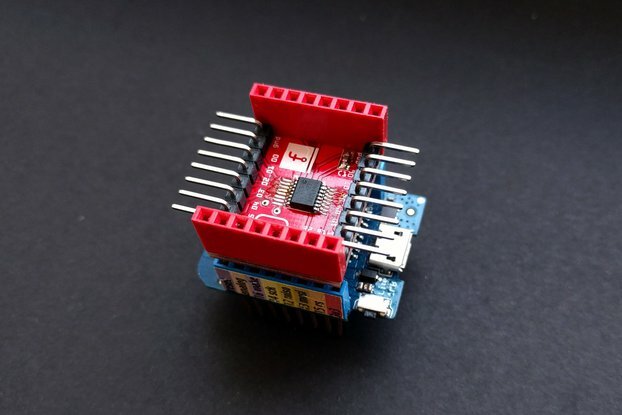 I think that Adafruit's CircuitPython boards are currently the easiest way to start with electronics — you just plug them into your computer, and edit the Python files on the USB drive that appears. They also come with a wide variety of add-ons, but there is nothing that lets you make a game console out of it. I think that writing your own games is a great way of learning to program, so I made this. I tried to make it as simple as possible, removing anything that stands between you and your games. The Feather boards have no operating system, no SD cards that you would need to flash, no drivers to install (unless you have a really old version of Windows), and no possibility of breaking, short of physically damaging them. 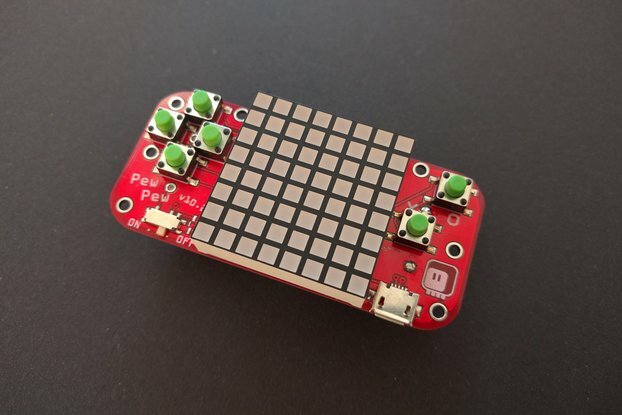 This board adds the 6 buttons (4 directions and 2 fire buttons) and a very simple, low-resolution, 4-color display, and that's it. You don't have to worry about pretty graphics, because you will basically be using single pixels for your game objects. You don't have to worry about sound, because there is none. All you need to think about is what your game is going to be and how to make it work. 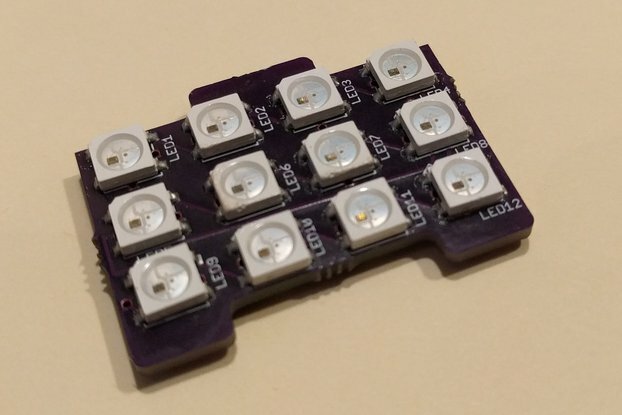 Note about the video: the colors of the LED matrix are actually very vivid, but I haven't found a way to film them properly. The camera seems to be especially sensitive to the red LEDs in the matrix and shows them as almost completely white, when in reality they are brilliant red.